There's still plenty of July left to download this month's free desktop calendar. I know what you are thinking - wow, she's posted three times this month! Yes, I am on a roll, hopefully it will continue. 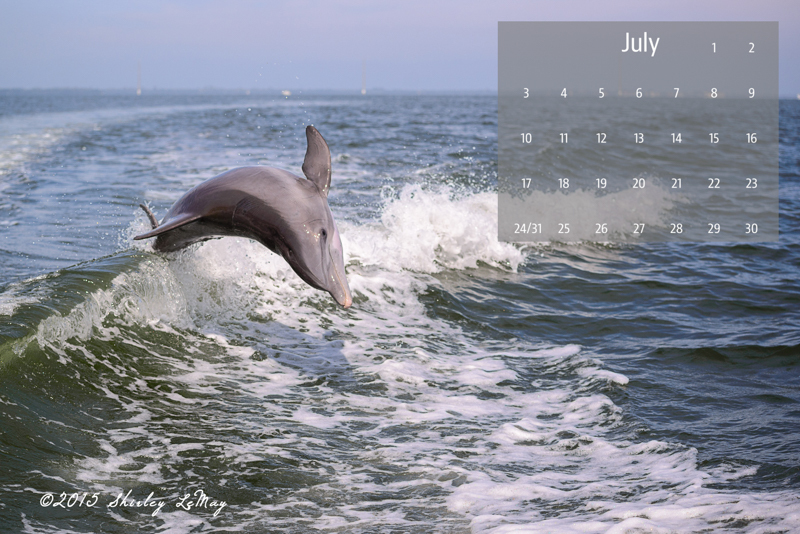 July's calendar features a playful dolphin we encountered on a fishing excursion in Florida. The captain of the boat saw the dolphin, then sped up stating "let's see if we can get the dolphin to jump the wake". The dolphin happily obliged, much to our delight. They are amazing creatures. What a fantastic image, Shirley!